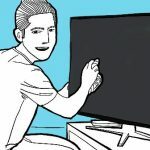 The slimmer TVs get, the more their sound suffers because there is no longer any space for robust speakers on the back panel. 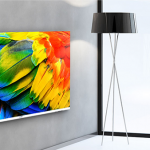 Even the best sounding TVs we have today pale in comparison to even basic soundbars. More people are investing in soundbars now than full-blown home theatre systems, so it makes sense for you, as the user, to know about the best soundbars you can buy for your TV if you are looking to supplement that inbuilt audio of your TV. Read on to find out about the best soundbars you can buy for a richer A/V experience. 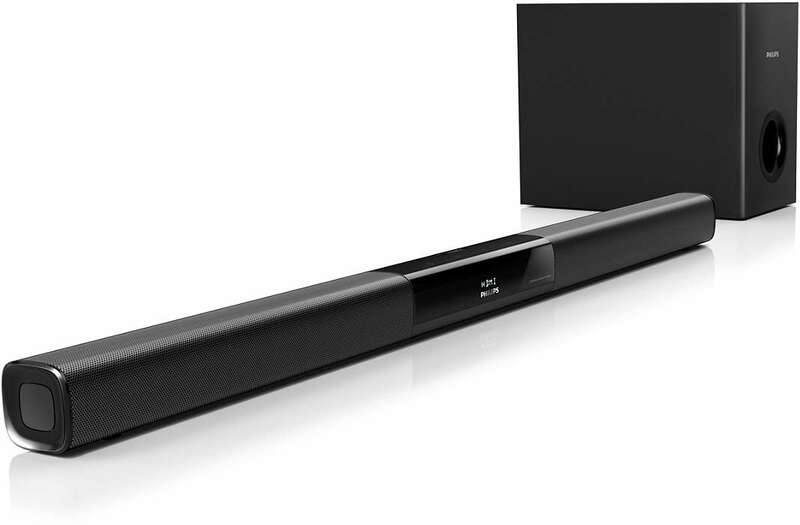 The Philips HTL2163B/12 is a sleek, powerful soundbar that effectively replaces the home theatre system you had been eyeing. It has a low-rise profile, which makes it perfect for placing it in front of the TV, or you can wall mount it. It comes with a wired subwoofer and has Virtual Surround Sound for a more immersive sound experience. The sound is more powerful and sophisticated than you would imagine from such a sleek and inexpensive device. The soundbar and the subwoofer integrate very nicely, giving a rich, balanced and cohesive sound, even at higher volumes. Audio in allows you to play multi-format audio from portable music players, and Dolby Digital makes movie audio sound better with realistic spatial cues. At the time of review, the Philips HTL2163B/12 was available on Amazon for Rs. 9999. The LG LAS355B 2.1 Channel Soundbar is an entry-level soundbar that is equipped with a number of features but falls slightly short in terms of actual sound. Sure, the sound is good enough for the price, but it loses out to conventional bookshelf speakers in clarity on the high end. However, the Auto Volume Leveller and Dynamic Range Control were good features to have at the sticker price. It can be incorporated into LG’s Music-Flow Bluetooth App and pair up to 3 devices for seamless playing. You can even stream music from any portable or USB device plugged into the device. So if you are looking for a soundbar that can take on multiple media formats, the LG is a good option. Also, in terms of profile, it rises lower than the Philips, and fits even better in front your TV. 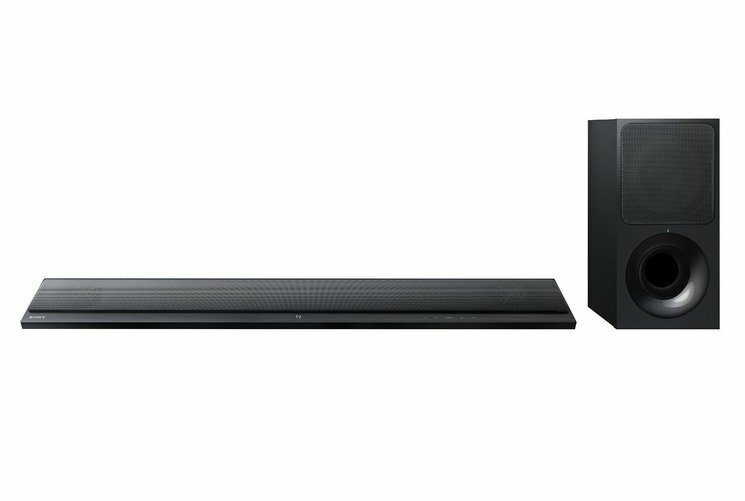 At the time of review, the LG LAS355B 2.1 Channel Soundbar was priced at Rs. 13,990 on the company website, and Rs. 11,800 on Amazon. 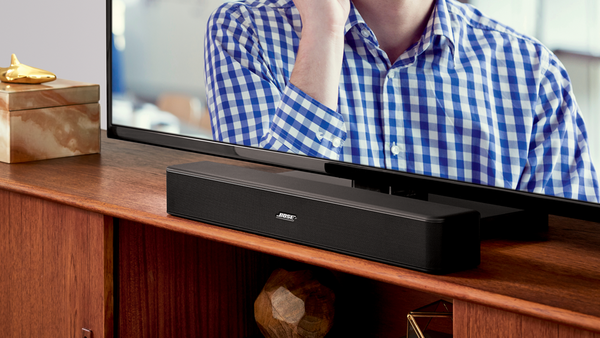 The Bose SoundTouch 300 Soundbar is magnificent both in terms of form and function. The slim soundbar has a glass top and metal grille that fits into any decor, and the slimness does nothing to take away from its superior sound quality. The sound is clean and natural, and has excellent clarity even in high action scenes. Music performance is solid too. The Bose uses ADAPTiQ audio calibration to customise its sound according to the accoustics in your room, so the sound always fits your space. This actually does work very well because even in small rooms, the sound impresses but does not overwhelm. For people looking for an even more immersive and spacious sound experience, there is the option of hooking up the Bose SoundTouch 300 with the Bose Accoustimass 300 wireless bass module and Virtually Invisible 300 wireless surround speakers for a more dramatic sound with thundering bass. However, even without these, the bass is excellent and the sound is crisp even when you are streaming music wirelessly. 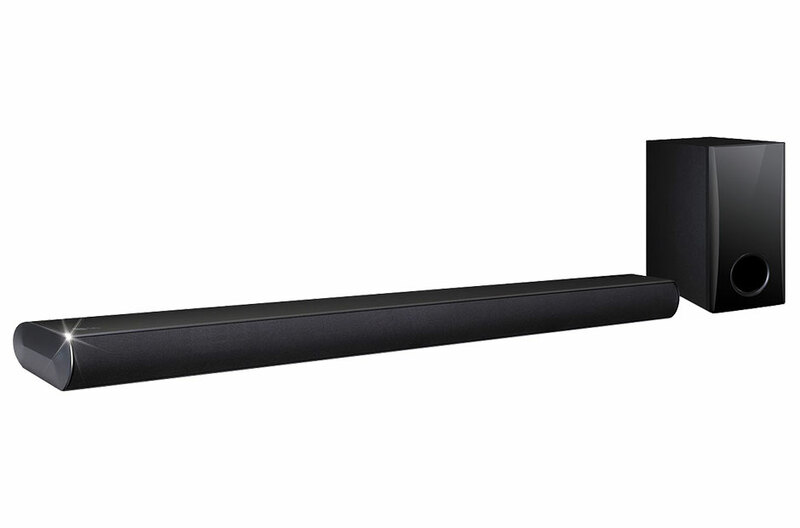 The Sony HT-CT390 2.1ch Wireless Sound Bar is simply stunning. Its minimal design and outstanding build quality make it something you would want in your living room. In addition, the wireless subwoofer is designed to work both vertically and horizontally so it can fit in seamlessly with your decor, without compromising on its functionality. The S-Force Front Surround system makes the sound quality truly cinematic, and extremely immersive. The sound is robust and floods the room, whether you are watching a movie/TV show or listening to music. The bass is heavy and controlled for the most part, and also delicate and clean where it should be. 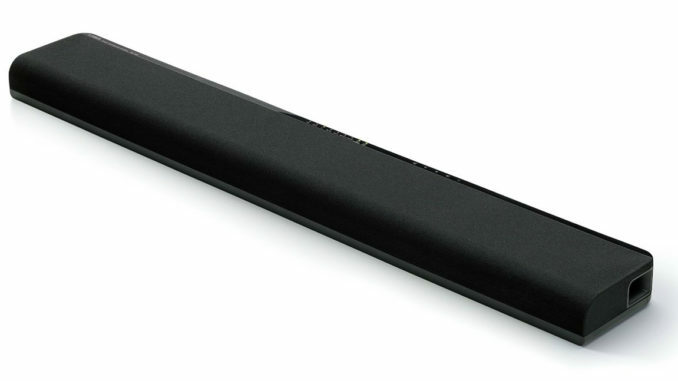 At the time of review, the Sony HT-CT390 2.1ch Wireless Sound Bar cost Rs. 22,767 on Amazon and Rs. 24,990 on the company website. The Yamaha YAS-105 is a single-body speaker that has integrated subwoofers, virtual surround sound and 120W output and delivers powerful sound into your living room. The virtual surround mode claims to deliver a 7.1ch sound experience. However, the sound quality leaves a discerning ear a few complaints. It does not reach the lowest bass notes (although you can attach an external sub to this and rectify the problem), and the mid-range and treble lack smoothness. In spite of that, music sounds decently balanced, and the percussion instruments are punchy as long as you do not crank up the volume too high. Vocals are clear and loud, and overall, the Soundbar does well if you are going to use it for day-to-day music/TV show viewing. Another Yamaha, but this one is pricier, and if you look at the feature set, it really does justice to the higher price. It is a chunkier tabletop design, and the two feet of the sound bar act as twin 8.5cm subwoofers. This adds height to the sound bar, but the remote repeater function relays the signal to your TV. Sound on the Yamaha is good, with clear and crisp central positioning, and bass is tight even at the lightest subwoofer setting. There is some loss at higher volumes, but typical listening scenarios will not require such high volumes. In music, a lush midrange may be absent, but the overall experience is immersive. The Sonos Playbar will make even the best sounding flatscreen TVs sound flat. It delivers a detail, weight and tonal balance that your TV can never achieve. It has Sonos’s best-in-class digital music software built in, so now you can listen to sound that is impressively detailed and dynamic, even when you stream directly from Amazon Cloud Player, Spotify, Pandora, and Rhapsody. The night mode is brilliant at crushing the dynamic range of output. The bass is quite deep (although the lowest notes may suffer) and it can decode Dolby Digital or produce pseudo-surround from a stereo signal. 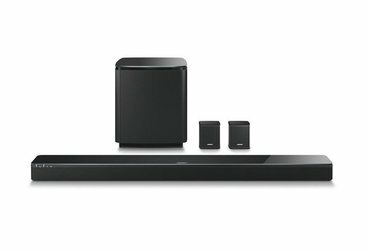 Also worth considering is the JBL Cinema SB150, as well as the Samsung HW-K360 2.1 Channel Sound Bar. 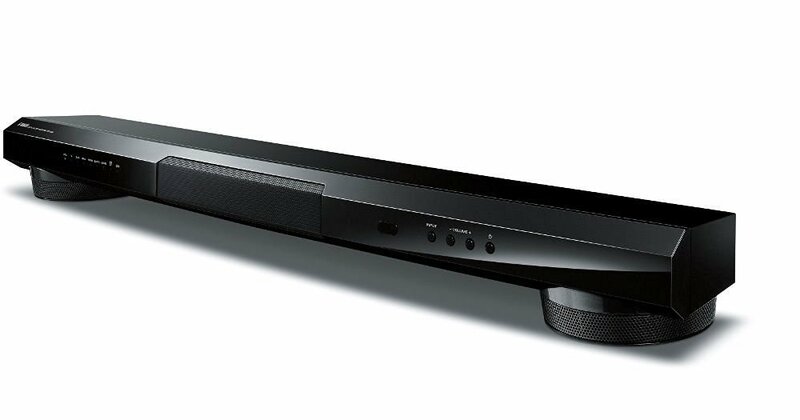 At the higher end, the Harman Kardon SABRE SB35 Ultra-Slim Home Entertainment Soundbar provides decent sound output. 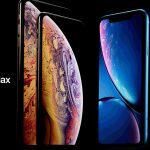 iPhone XS, XS Max And XR: What’s New? Which is the Right Gaming Laptop For You? We are in the business of protecting and extending the life of all electronic gadgets, big and small. OnsiteGo has one overwhelming purpose: To Provide Exceptional Customer Service in consumer Electronics. Our goal is to ensure, that the simple joy of owning an electronic device or appliance stays with the customer for as long as possible. We’re proud of our ever growing family of 3 million + customers. We seek to transform the purchase, ownership and resale of electronic products into hassle-free and transparent experiences.